A lot of indoor flowering plants are grown from bulbs, stems or tubers. Learn more about what bulbs to grow as houseplants and tips for growing bulbs indoors in this article. 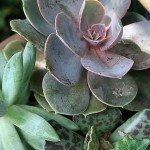 What Bulbs Can Be Grown as Houseplants? They always remind us that winter is coming to an end. 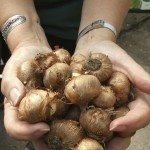 It’s usually best to take your hardy bulbs that have been grown inside your house to the garden outdoors once they flower. Once they flower, they can’t be relied upon to have good performance inside. The more tender bulbs like amaryllis, begonia tubers and cyclamen corms can be kept in the house for flowering the following season. As long as you take care of them, they should do well year after year indoors. When it comes to bulbs, a large part of the pleasure is lost if you don’t actually grow them yourself. You can go into your local garden center at the last minute to see what they have in stock. You can buy bulbs on impulse without even knowing what you plan to do with them; they store well. Buying bulbs from the catalogs out there and having plans on what to do with them before you even receive them is a fun thing. If you purchase from the catalogs, they usually arrive in perfect growing condition. If you plan on purchasing from your local retailer, make sure to go early in the season (late summer for the majority of spring bulbs). This will allow you the best selection and freshest bulbs. When you purchase the bulbs, be sure to purchase your compost, charcoal, pots and anything else you need for planting the bulbs at the same time. You should plant your bulbs right away to prevent deterioration. This gets them off to an early, healthy start. Bulb fiber is cheaper than compost. It’s made up of peat or coir fiber and mixed with crushed oyster shells and charcoal. It’s an adequate growing medium if you intend to replant your bulbs after first flowering out in the garden, but it contains no nutrients. You should use soil-based potting compost containing a balanced mix of nutrients for those bulbs you plan to grow and keep indoors. Give extra attention to the pots you choose because that can make or break your indoor gardening efforts. Hyacinths, tulips, crocuses, daffodils and other narcissi are normally grown in ceramic bowls with no drainage. Although they do sell plastic bowls for this purpose, the glass and ceramic bowls are better for it. Larger bulbs like the lilies that are grown as individual specimens are best grown in large flowerpots that stand in their own dish. Planting them in plastic containers with good drainage and placing those containers in decorative china or ornamental ceramic bowls and containers is best. A favorite among bulbs has to be the daffodil. There is such a wide variety of daffodils that it would be possible to have different types in flower from early winter until well into the spring. They belong to the Narcissus genus and “daffodil” is used more specifically for those flowers having prominent trumpets and a single bloom on each stem. Usually you would think they are yellow, but there are cream colored daffodils, cream and orange, orange, etc. The come with varying sizes of trumpets and some of them have several blooms on one stem. You want to plant daffodils in late summer. Half fill a bowl with damp compost or bulb fiber. When planted, the tops of the bulbs should be just about level with the rim of the bowl. You will want to space them so they are close together but not touching. A full bowl will give you the best display planter. You should then fill the bowl within 1 cm. of the rim. You can water the bowl well and allow it to drain through the drainage holes, then wrap the bowl in polythene and place it in a cool spot. Be sure to check it regularly to keep the compost damp. If it’s not, you should water it. After some time, you can bring the bowl inside and gradually increase the warmth around it after the shoots are 5 cm. (2 inches) high. Crocuses and tulips are another popular spring bulb. They have flowers in every shade and many new shades. Pick early types of tulips that will cope with a certain degree of warmth in order to force for winter. These will give you better results. These are easy enough to grow indoors, but remember that if you want them to stand the test of time, you should truly plan on putting them outdoors after you’re finished. If you choose to keep them indoors, then you need to pay attention to their needs and remember that they won’t be in bloom continuously.